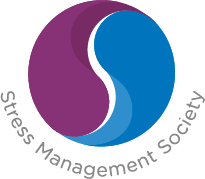 The Stress Management Society is a non-profit organisation founded in the UK. They are a leading authority on stress management issues, and help both individuals and companies to recognise and reduce stress. They are dedicated to leading effective universal change by maximising resilience, happiness, productivity and success with their passionate approach to reducing stress and promoting wellbeing. This is achieved through workshops, guides and regular updates, which empowers people to take active charge of their own mental wellbeing. Their accredited members must comply with their specific requirements and are verified with at least 3 years professional experience, ensuring only qualified professionals are listed in their database.